When it comes to saving your home from foreclosure, the very first thing you have to ascertain is the legality of your mortgage. Numerous investigations by Federal and State agencies have documented mortgage lenders repeatedly engaging in illegal lending activities (predatory lending). Predatory loans are completely illegal. If your loan is predatory in nature you do not owe your bank. In fact, the bank owes you money. Predatory lending is an illegal act in violation of State and Federal law that occurs when you first apply for your mortgage loan. Examples of Predatory Lending are numerous and may include a fraudulent appraisal used to illegally inflate the value of your home without your knowledge in order to approve the mortgage loan. Another type of predatory lending involves illegally inflating the borrower’s income on a loan application to qualify for a loan approval. There are numerous other examples of Predatory Lending. A mortgage or loan modification is a modification agreed between you and your lender to help get you back on track with a loan you can afford. However, 98% of the people who visit this website do so following months of demeaning and frustrating attempt to modify their mortgage loan. These intentional delays (caused by your bank) result in you falling further behind with past due payments, interest, penalties and late fees. 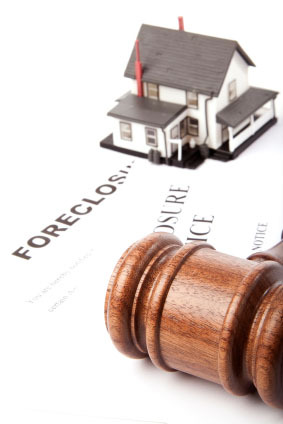 All of this brings you ever closer to the doorstep of foreclosure. The conclusion one must reach at this point is that the only goal of your bank or lender is to take away your home. Once this very real fact sets in, there are only two options left in dealing with your bank. You can allow your bank to take your home, or you can fight back against them. When this occurs, predatory lending may paradoxically become your knight in shining armor. How can predatory lending laws help me? If you are a victim of a predatory or fraudulent loan, you may not owe the bank any money. The bank may, in fact, owe you a great deal. Hundreds of millions of dollars have already been paid in the State and Federal courts to families who were victims of predatory and fraudulent loans. These payments are called punitive damage awards. In these cases, the homeowners decided to take an entirely different path when their lenders refused to modify their loans. The homeowners decided to investigate their loans in order to find evidence of predatory lending. At Defend Your Mortgage, we begin the mortgage investigation process with a full scale investigation of every last document you signed on the day you had your mortgage loan finalized in order to search for errors and omissions. During that day you likely signed a great many papers in a tremendously short amount of time. During this process your lender likely sneaked some fraudulent papers through that raised your interest rates or falsified records about your income. At Defend Your Mortgage our expert loan documentation research specialists shall complete the entire hands on, manual investigation report in a number of weeks. At this point you will be invited to meet at our Fort Lee office with an expert New Jersey banking Attorney who specializes in mortgage investigation, predatory lending, loan documentation, consumer fraud, loss mitigation and bankruptcy. During your attorney review, a comprehensive plan will be developed using the results of the investigation to prepare a precise way to legally assault the bank who provided a fraud mortgage and return money owed to you. Inability to pay your mortgage is not a defense in court. If you can't afford to pay your mortgage, a Judge will simply tell you to sell your home. However, a Judge’s responsibility is the rule of law. When illegal violations are found to exist in your mortgage loan, the job of a Judge is to rule on the findings. If proven to be a victim, the Judge will have no choice but to rule in your favor. In the end, your bank will be forced to place you back on track with a mortgage loan you can afford. You may also be entitled to substantial punitive damages.